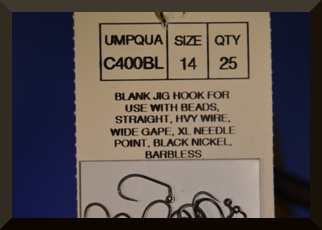 Recently I was looking for some hooks that would work for Czech nipping and nymphing in general I found the Umpqua C400BL and I have been very happy with their performance. First of all, they have a large gap and being a jig hook the hook portion of the overall hook rides higher in the water column. 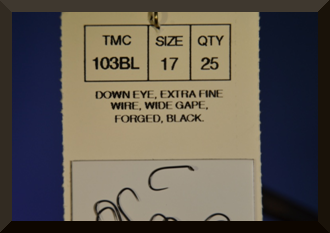 The second hook that I want to point out is the TMC 206BL. Again the important thing to me is the large gap. This will be a excellent hook for caddis larva, scuds and emerges. The last hook that I want you to view is a 103BL. 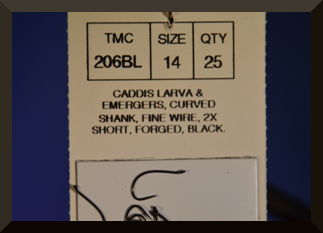 One of the differences on this hook is the sizes are in odd sizes, eg: 15,17,19 etc. But to me the most important thing on these once again is the large gap.